Meet Joan: a tough, indomitable woman who’ll make you laugh and cry in equal measure. From humble beginnings in Ireland, to a new home in New Zealand with a brood of children, to factory work and homemaking in rural Feilding, her optimism for a simple life never wavered. But it was not all bread and roses for Joan, and looking back on her youth as an old woman many decades later, she experienced her fair share of hardships, too. Tom Scott's second play, an essential companion piece to The Daylight Atheist, is a poignant and enthralling love letter to a mother from an ungrateful son. It’s also a sublime ode to motherhood: a compassionate yet unflinching portrayal of an extraordinary everywoman, whose guts and gusto echo the resilience of mums then and now. 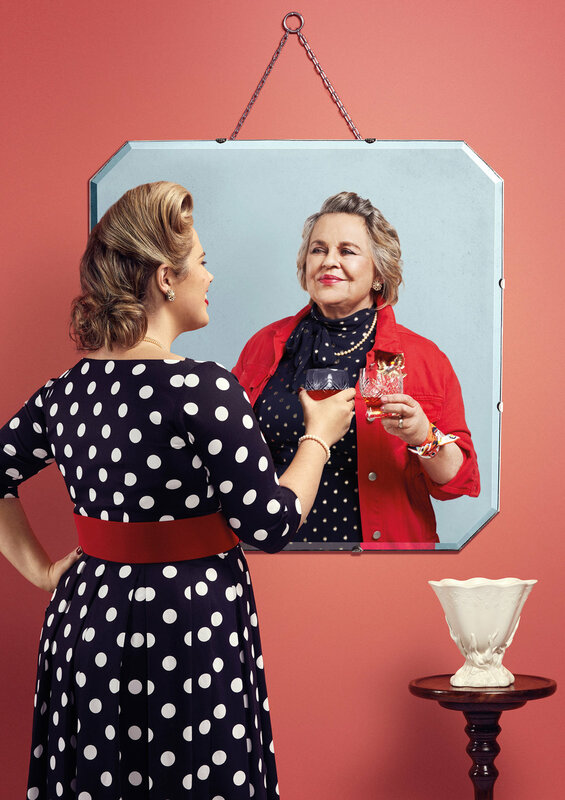 Be swept along by the powerhouse Ginette McDonald, the comedic genius behind Lynn of Tawa, and her daughter Kate McGill, as old and young Joan respectively, in this play for the ages – a history of New Zealand and of one wonderful, wickedly funny woman whose delightful spirit will stay with you forever. Please find more information and tickets here.